During February, I start to get the itch. While it’s still snowing in many parts of the country, the Central Valley in California transitions into spring. And I really shouldn’t even say transition. It’s more you wake up one morning and there are blooms on the trees and flowers everywhere. And so, I start impatiently waiting for spring produce. Truth is though, we still have some time. And so, I reflect back into the winter produce and start to look for more creative ways to use what is still lingering around. Recently I made a squash puree and listed out a handful of recipes I thought about making. In the end, I really feel there’s nothing quite like a solid breakfast, especially if ricotta pancakes are involved. During the cooler months, I go squash happy. Anytime I’m at the store I think to myself, ‘Yes, I need a couple squash.’ Then, I get home and realize I already had a few. And so, I start to get really creative with how I use them. Kabocha is one of my favorites. It’s flavor is sweet while the puree is similar in consistency to pumpkin. All of of this makes it the perfect squash to use in recipes one might traditionally use pumpkin. Of course, if you don’t want to spend the time cooking the kabocha or can’t find one, use pumpkin puree instead. 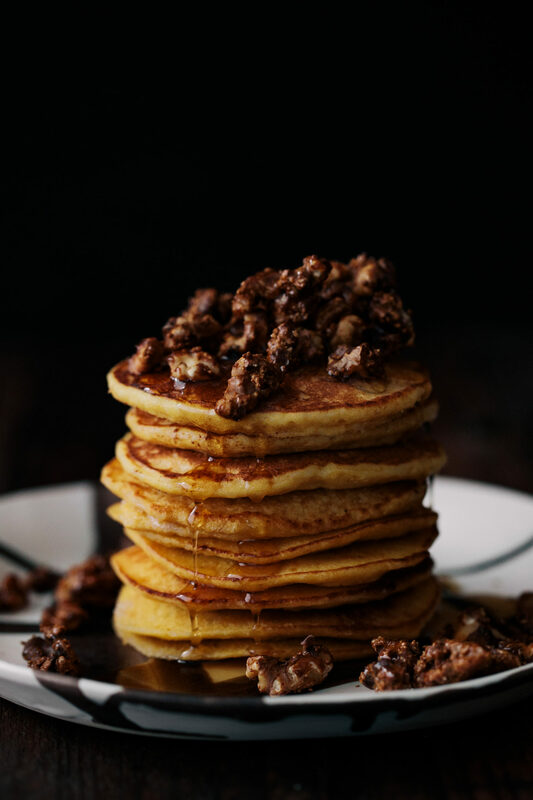 When I first started making a non-squash version of these pancakes, I couldn’t get over how light and pillowy the texture is. The ricotta really adds the perfect amount of moisture while the stiff egg whites lighten the batter. I will say, if you’re unsure of spending that much effort to make the batter, it’s really worth it. These aren’t my every weekend pancakes but it’s definitely a nice treat once in awhile. 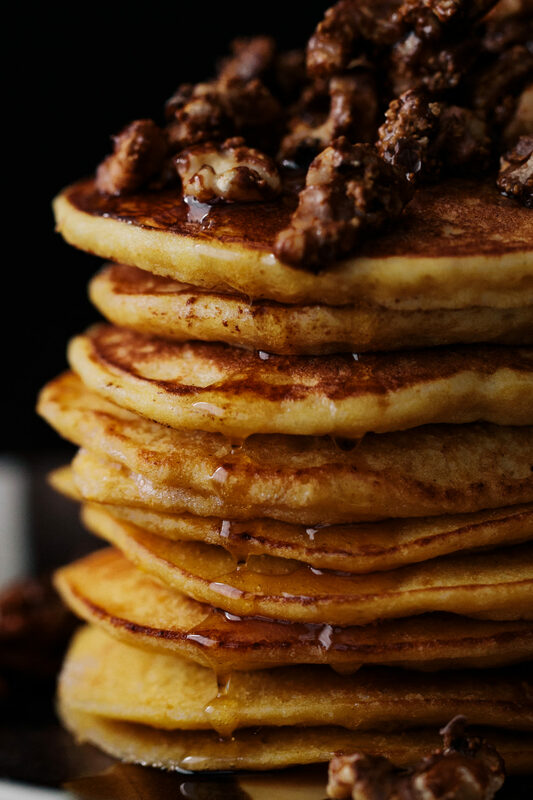 The post Kabocha Ricotta Pancakes appeared first on Naturally..